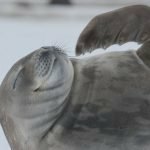 Welcome to Brash Talk #5 the newsletter of the Polar Tourism Guides Association (subscribe here). We hope you are either enjoying or are excited about the northern season that is in full swing. Plenty to cover in this issue so please explore it and catch up on all our exciting news. 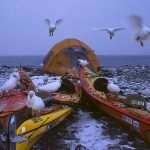 In this newsletter: New RCC Template, New PTGA Qualifications Framework, New Sea Kayak Guide Polar Endorsement, Artcic Nature Guides Course, Review IAATO Annual Meeting, Qualifications Review Meeting, Svalbard Guides Association, New Website Forum……….. read on. Graham has just returned from a busy travel calendar representing the PTGA. He was in Svalbard observing the Arctic Nature Guides client ski-trip examination. This was a 6 day trip into the glaciers of Oscar II land on the north side of Isfjord. His time in Longyearbyen also provided opportunities to speak with local guides and Govt. 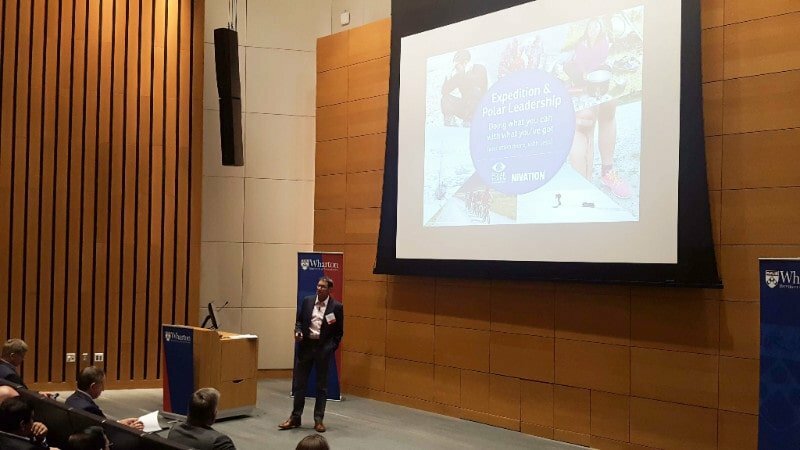 He then flew to Philadelphia where he delivered a presentation on Expedition and Polar Leadership at the annual Wharton Business School Leadership Conference. Sophie is preparing for a contract in Svalbard with Silversea. Katie has been climbing on Mt Rainier and preparing for Greenland work with Natural Habitat. Phil is out in the field on a small vessel in Svalbard after a ski trip. 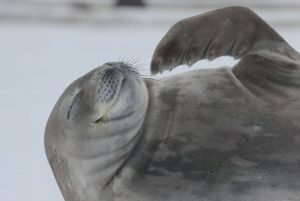 Mariano is being a doting father but also driving his Expedition Operations role with the newly branded A21 (Antarctica XXI) and planning for next season and the growth they will undergo. We have our Annual General Meeting on June 22 where we will approve the budget for the coming year and discuss developments and opportunities ahead. We are still looking to increase our Board Membership. If you have the time, enthusiasm and skills to add to this developing initiative please drop a line. We have redesigned the template and hope it is easier to use. If you are in the process of applying for RCC please download any documents just prior to applying to make sure you have the most recent material. We are receiving feedback constantly and trying to make systems and processes more streamlined. To that end things change frequently. This is a year long course designed specifically for the needs of guiding in Svalbard. It is a comprehensive and in-depth course that can be done as a stand alone program or part of a degree course. 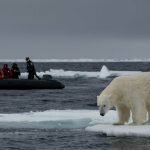 It covers all aspects of modern professional guiding in Svalbard from field craft, crevasse travel and rescue, skidoo travel, natural history, interpretative skills, leadership and teamwork, firearms training and licensing. This year had an intake of 27 students from 10 different nationalities and we are looking for ways to collaborate with the program because it is performance tested and fits in exactly with what we are working for at the PTGA. 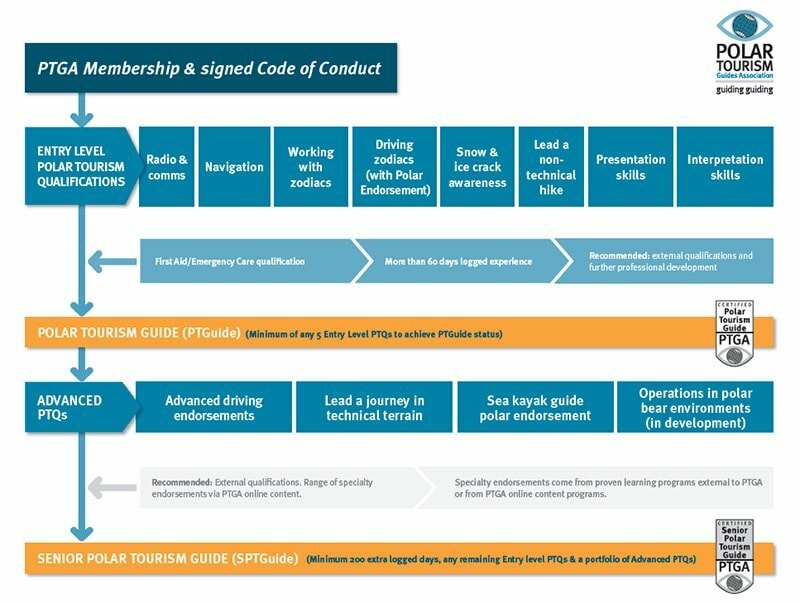 We have re designed the Framework to reflect the changes requested by membership and the evolving needs of industry with new PTQs. 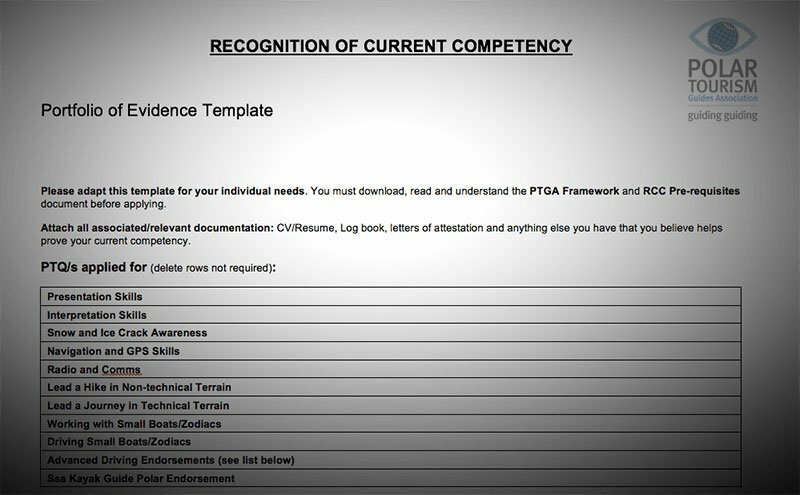 Download the latest PTGA Qualifiactions Framework version here. Part of being a professional and being part of the PTGA is continual professional development. Logging your experience, and in particular those stand-out experiences like the total fog white-out day you had to navigate carefully to find the beach in Greenland, or the big surf day landing at Bailey Head, is crucial and will make your revalidation a breeze in a couple of years. Don’t wait until you get the email from us! PTGA president, Graham Charles, attended the annual meeting held in Newport (IAATO’s administrative base) representing the PTGA in our application to become an Associate Member. Our application was declined because of the nature of our association. It was decided that IAATO, which is a member association, couldn’t have another member association as a member. But, the good news is that our presence in the industry, growing awareness of what we offer and how we are augmenting the work of both IAATO and AECO that we can attend future IAATO meetings or events as invited guests. We believe this is a gain/gain situation for all involved in the industry and validates our existence, a new era in collaboration between associations and how we can assist the excellent work IAATO are doing. 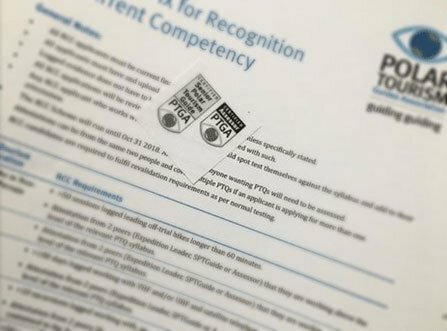 Our Recognition of Current Competency scheme is still operating but this scheme closes on October 31 this year! If you are a veteran guide and you want your years of experience vetted and acknowledged by an industry standard don’t miss this date. For clarification as long as your RCC application is received prior to Oct 31 it is still valid regardless of when we finish the review. If you have questions the easiest way to clarify requirements is to email or call us. We had our QRM and the process worked well. We made a number of corrections and some changes/additions/deletions from the PTQs. if you have old pdf downloads please delete them and get the latest copies from the website. In particular note we have split the Small Boat/Zodiac material into 2 distinct PTQs with Advanced Endorsements. It is worth your while to have a look at that PTQ and understand what we have done. We now have Working with Small Boats/Zodiacs for crew and staff who are helping with operations, loading and unloading boats and Driving Small Boats/Zodiacs for anyone driving. We have completed the review period and process for our Sea Kayak Endorsement. 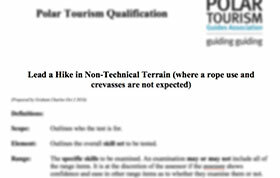 This will be a polar specific endorsement for sea kayak guides who already hold a qualification from another scheme. 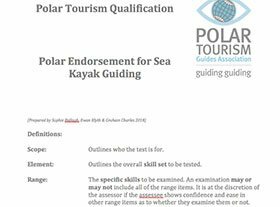 The endorsement adds all the polar specific knowledge and skills an established sea kayak guide needs to operate in the polar industry. It will be available for RCC applicants in the next couple of days. Polar Bear Environments PTQ is still in review and discussion. This award is for any guides or field staff working in these environments. It will replace what used to be an endorsement on the Lead a Hike in Non Technical Terrain PTQ and be a stand alone PTQ. We have approved the development of a Forum page on the website to allow us to engage directly with our membership. We will use this in future to allow the membership to provide feedback on any part of the PTGA and assist with PTQ development and review. We will send a separate dedicated email/campaign when it is ready for use. 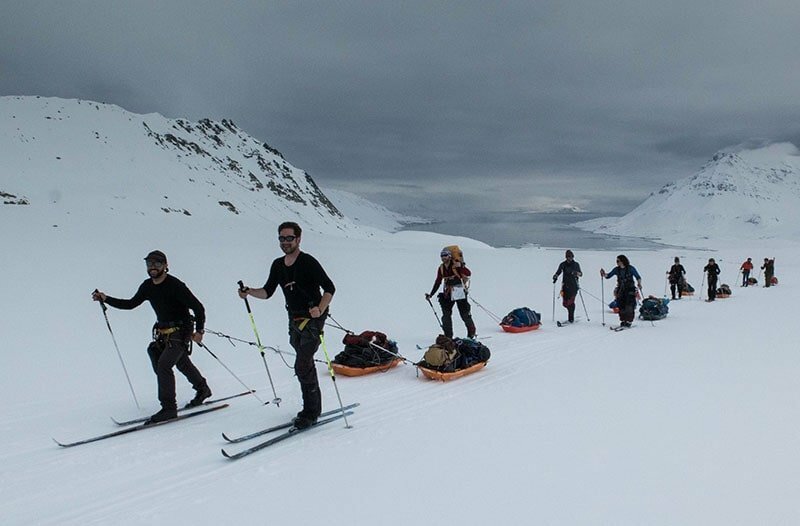 There is a new collective guides initiative based in Longyearbyen, Svalbard Guide Association. 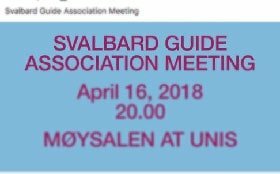 This group is a forum for guides in Svalbard looking to increase professionalism in this busy hub of polar tourism activity. We will be keeping in contact with them and seeing what collaborations are possible. Check them out sometime. 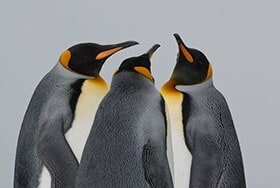 Senior Polar Tourism Guide: Beau Preneau, Heidi Krajewsky, Jane Wilson, Pablo Brandeman, Robyn Mundy.